A Short Guide to Becoming a Desired Employer! Accuprosys / Blog / Uncategorized / A Short Guide to Becoming a Desired Employer! The best employer is someone that can entice, engage, enhance and retain its talent and resources for continued periods of time. Global Workforce Insights report has identified the top five qualities of companies that play a major role in attracting and retaining its resources. The foremost thing an individual looks for in an employer is stability and the ability to sustain during any crisis. Small companies wind up during such time resulting in loss of work and stability for its employees. This generation wants to know if an organization can provide long-term financial security and is willing to wait for it. There are several multi-product and solo-product companies that have retained about 20% of their employees for over 20 years. Since the job market and economy is strengthening, it is quite likely that the employees who were previously hesitant can now confidently look for newer and well paying roles in other companies – Ensure you don’t lag behind on this aspect. Example: Google and Qualcomm. These companies provide salaries well above the national average a recent Glassdoor survey revealed that more than 75% of these companies’ employees rated the company favorably. The heavy layoffs made the deserving, well performing and the long-time employees feel very undermined and undervalued. Now since the scenario is better, it’s time the employees are given their due in form of respecting their services. They definitely are giving importance to how important the employer would make them feel for the growth of its own business. Several companies these days are providing this culture giving importance to people who are efficient irrespective of whether they are full-time or part-time, also providing opportunities for advancement. The most important aspect based on which employers are chosen is “Health benefits.” In present times, it’s impossible to consider an employer who doesn’t give health benefits apart from the competitive salaries and perks. Along with this health and fitness programs are a hi-fi! Example: Zappos provides 100% coverage for primary, routine and preventative care and an in-house fitness center, several fitness programs and healthy meal options in their cafeteria. No matter what a big fat salary you provide along with all the above, this one factor can majorly decide who stays in the company and who doesn’t. It is big deal for employees to manage a fine balance between family, personal commitments and work. Several new-age employers are keen on providing polices that support work-life balance. Several companies these days provide flexible shift options, work from home and several other such benefits and perks that encourage an employee to give his best. An organization that creates value for its hires will ultimately create value for its shareholders. Instead of desperately launching loud recruiting campaigns, companies must focus on n basics if they want to hire and retain worthy talent with competence and high value system in today’s market scenario. 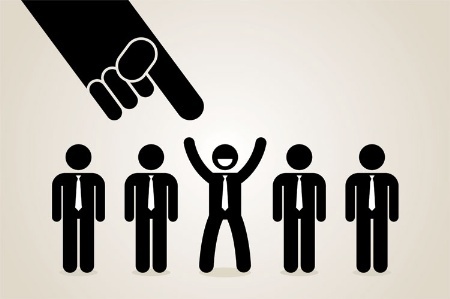 So, it’s time to assess how many points away you are from becoming the most desired employer!